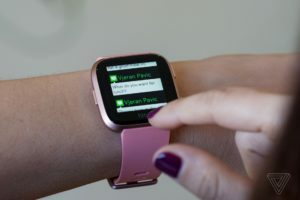 Smartwatches have gained quite some traction in a recent couple of years and are gradually becoming a common sight on almost every other person’s wrist, a large cause of it being the feasibility and convenience that having an all-in-one gadget strapped to your wrist. Fitbits newest entry to the Smartwatch wars is the VERSA. It has a sleek look and fits snuggly on the wrist. It is a simpler, and GPS free, as well as less expensive watch. It looks nicer then the IONIC. The Versa also has an industry leading four days of battery life on one charge which is a true thumb in the eye of Apple. This $200 smartwatch is surely going to appeal to a much larger audience then the IONIC as well. Phone call notifications are a good deal more fluid on the VERSA. It shows calendar notifications as well. The physical shape of the VERSA has pleasing rounded edges and a touchscreen display that slopes into its anodized aluminum casing. Some say it looks a lot like the Apple watch from afar. One of the top features of the VERSA is how light it is and just how flat it does lie against the wrist. It measures steps, stairs climbed, calories burned, sleep, distance traveled throughout the day, heart rate, resting heart rate and cardio score via approximation of VO2 max which is based on cardio exercise data as well as specific exercises. It has a extra feature called the Fibit Coach that provides some complimentary exercise guides but costs $7.99 more per month for the next level of workouts to be unlocked. 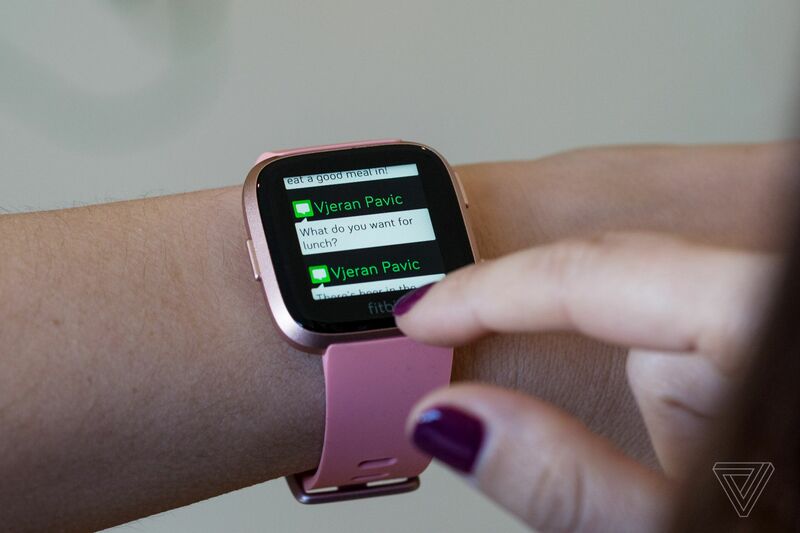 Also the VERSA, as well as the IONIC, now let female wearers track their menstrual cycles. The Versa band seems to be a bit unnecessarily complicated however it does not detract from its utility. It is missing the GPS feature that the IONIC incorporates. The basic, $200 Versa does not have NFC in the US. That means you can not pay for things with it, the way you can with the IONIC. A special edition Versa is available but for an additional $30. 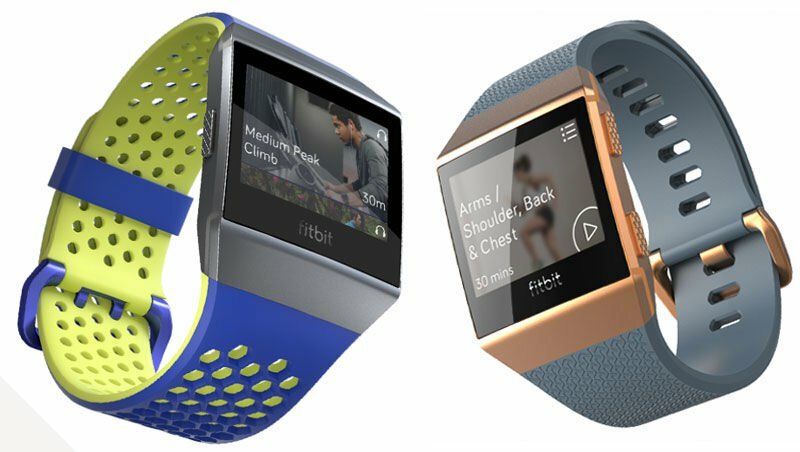 After the release of the much anticipated FitBit Blaze, FitBit has release another purely sports oriented smartwatch called IONIC. Positives In a, to the point, straightforward interface for sports related activities. It is understandable that the IONIC offers accurate heart tracking through the PurePulse heart rate monitor, steps taken, calories burned and many other workout related stats. It is also has what all the new good smartwatches have that is it’s waterproof and equipped with GPS, unlike Blaze. Another great positive is that the strap can be removed from the device and replaced. It also has the ability to make payments and monitor your sleep patterns. It also has on board music through the Pandora music app, and also top on the positives list is that it has a 4 day battery life. All of this in an attractive package. An on device Fitness coach is the unexpected something extra as well as the 2nd party develeper apps that add to the product’s attractiveness. Negatives It is, although understandably so, quite a bit more expensive than the Fitbit Blaze. History has also seen the Fitbit software or interface struggles to keep up with the sear number of second party app other devices offer. Apple has always been a forerunner when it comes to many of the recently developing tech, including smartwatches. 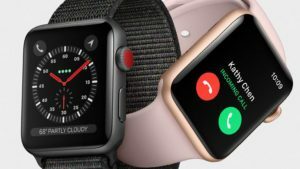 The latest addition to the list is the Apple Watch 3, and it has easily become our third to the top pick for the best smartwatch out there right now. Negatives The LTE Cellphone version has a limited battery capacity that only lasts around two hours, and it does not support the next generation LTE network like T-mobile’s which is already available. Akin to other Apple devices, it is extremely expensive, ranging in the 300s. Another downside is that it is only compatible with the iPhone and does not connect to Android or other devices. What if you are not an iPhone user- which smartwatch should you get for your Samsung? The Samsung Gear S3 is undoubtedly the best smartwatch for Samsung users, with its stylish leather polished finish. Positives Available in two designs which are essentially the same- a fitness and a classic one. It’s rough and tough exterior makes it perfect for outdoor activities or even formal occasions. Has the Samsung Pay as opposed to Apple Pay and works just as efficiently. It also has GPS and is water resistant for ultra protection. 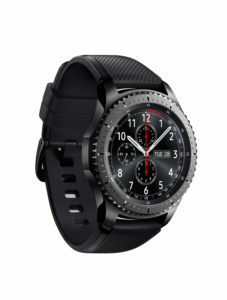 Negatives For some, the Gear S3 might just be a bit too masculine and bulky. It is by no means a light watch after all. Despite a very intuitive interface, it has a lack of the diversity and amount of apps. 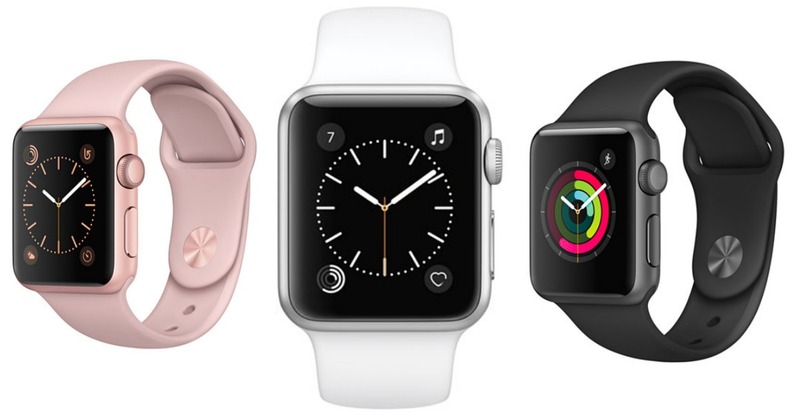 While the second version of Apple’s attempt at smartwatches ranks first on our list, the Series 1 Apple Watch is still a force to be reckoned with. Positives It is cheaper than Series 2 but possesses many of the same features. The size of the dial is decent- not too small neither oversized. An easy to use interface that is quite straightforward. Negatives The battery life can be improved. The Series 2 is a great improvement when it comes to down to the looks of the watch. Despite being quite straightforward, it takes a bit of time to get used to it. Android Wear is set to release a line of beautiful and efficient smartwatches by the name of LG Watch Style or LG Watch Sport by this spring season. Positives The optional LTE function allows several stand alone features to be showcased in the watch including the ability to make calls. Contains GPS to track your workouts and Android Pay to facilitate payment for purchases through your smartwatch. 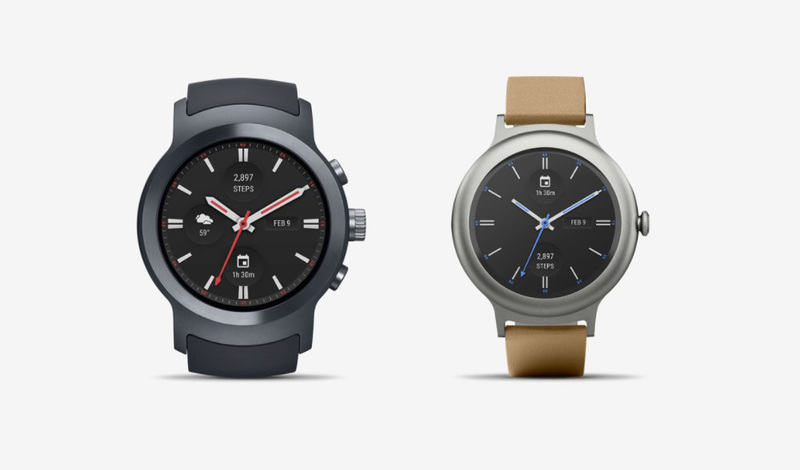 The LG Watch Style is arguably one of the best looking smartwatches out there. Negatives Compared to the LG Watch Style, the Sport version can prove to be quite heavy and bulky on the wrist. In case that you opt for LTE, the price of the watch shoots quite high, ranging amongst the 500s. The battery life can prove to be rather disappointing for all its high tech features.